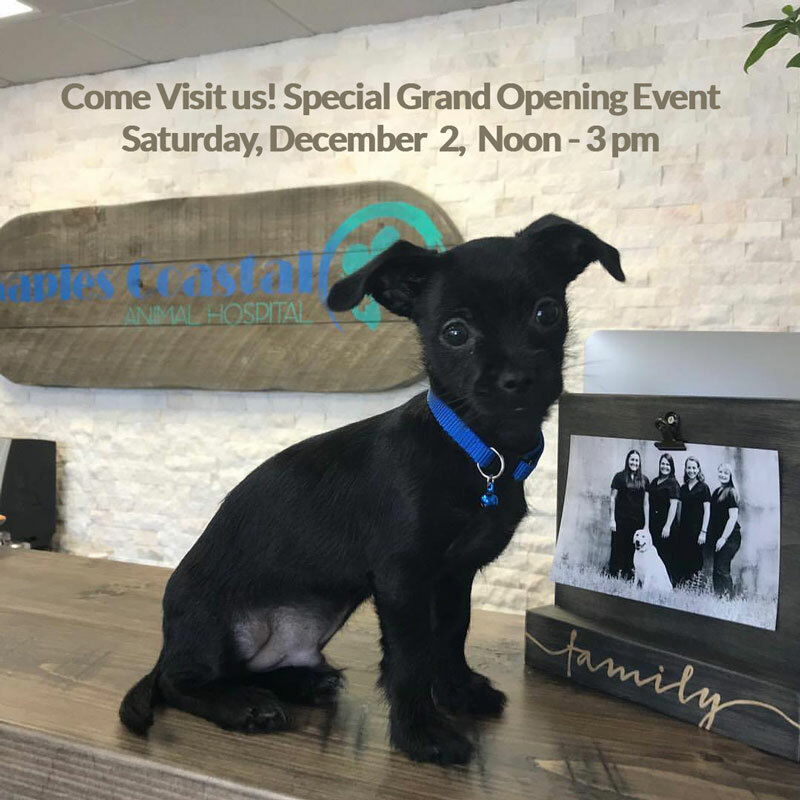 Naples Coastal Animal Hospital to host special Grand Opening Event! Date: Saturday Dec 2nd 12-3 pm. Please come join Dr. Sterling Sigmond and her staff for our grand opening event. Tour our new state-of-the-art veterinary hospital. View laser surgery and high definition digital x-rays. Learn about new advances in pain therapy, allergies, and dental procedures. Bring your pet with you for complementary IQ testing, pet photos, and fun! There will be food, drink and peace, love and little donuts! We are located next door to the Wholesome Hound. Explore the inside look of veterinary medicine with our amazing hospital and team. We are here for you. We can’t wait to see you!